Being from a smaller town, skyscrapers and mammoth buildings are not common. 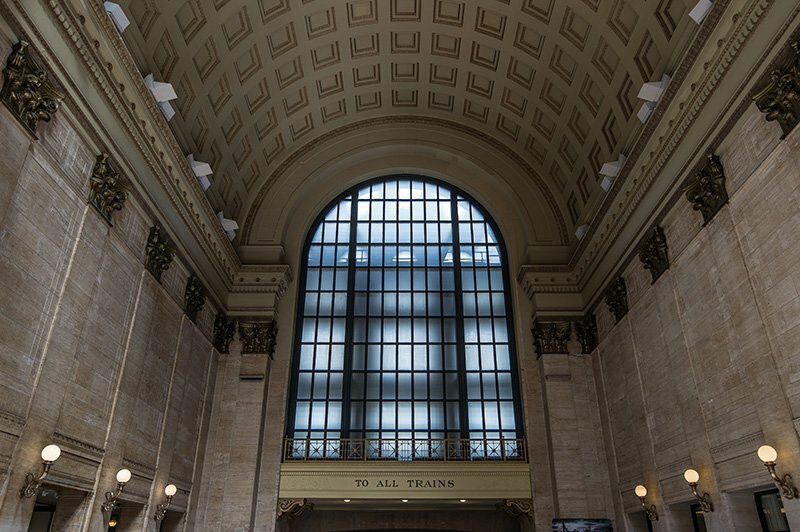 While traveling to Chicago during a recent vacation, I took the time to photograph some of the amazing architectural structures in the city. Now the main strip known as the magnificent mile has its own share of impressive architectural feats, but I found a few landmarks that were off the beaten path. It really is not all that hard to find as just about everywhere you turn there is something built either in the 1920’s or 1930’s that invokes thoughts of Paris or Greece which look like huge influences on some of the landmarks in the city. One of those structures is the Union Station. We had the opportunity to travel through the station seeing as I traveled by train rather than by air this time. 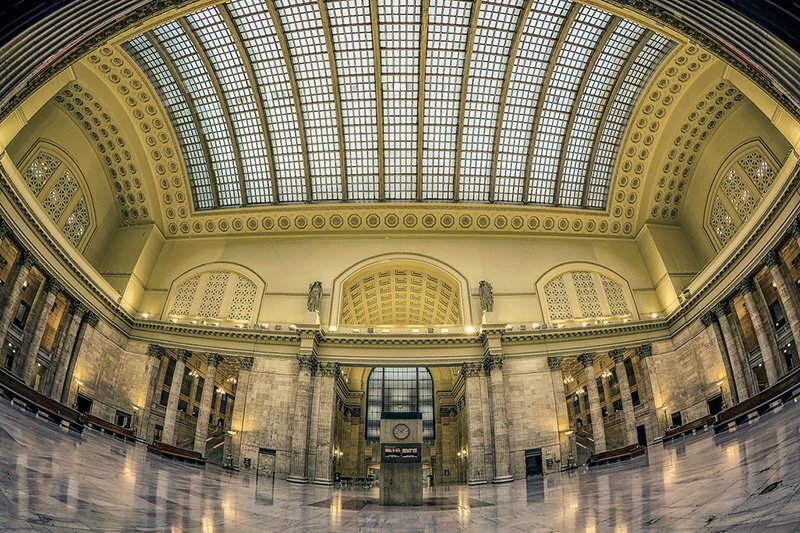 Chicago Union Station is a major railroad station that opened in 1925 in Chicago, replacing an earlier station built in 1881. 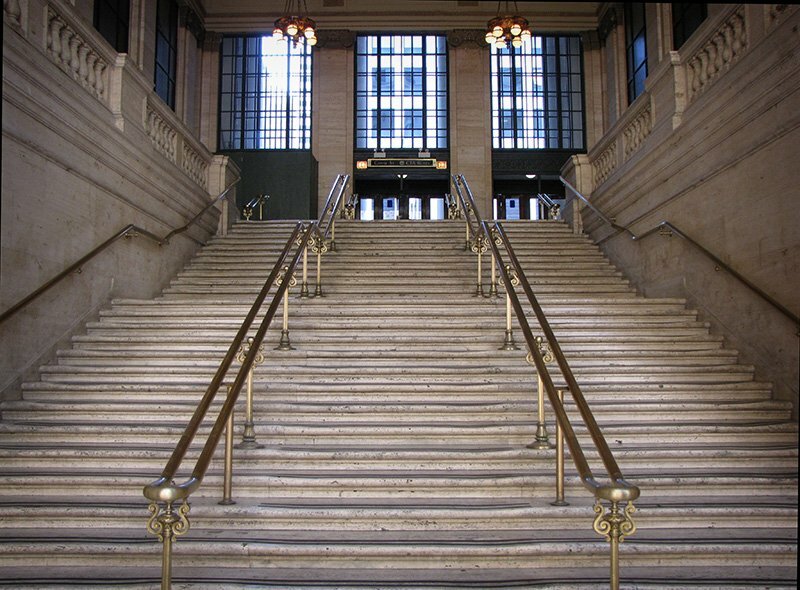 It is the only intercity rail terminal in Chicago, as well as being the city’s primary terminal for commuter trains. The station stands on the west side of the Chicago River. Including approach and storage tracks, it is about nine and a half city blocks in size. Its facilities are mostly underground, buried beneath streets and skyscrapers.